US NEWS: MGM files for Chapter 11 bankruptcy protection | What Hi-Fi? Under the deal, major lenders JP Morgan and Credit Suisse will swap $4bn (£2.5bn) of loans for a majority of the company's equity. It's expected the pre-arranged bankruptcy will last only 30 days. After that, MGM's creditors will hand control of the company to Spyglass Entertainments. Spyglass has produced several films, including Get Him To The Greek, the most recent Star Trek movie and Clint Eastwood's latest venture, Invictus. 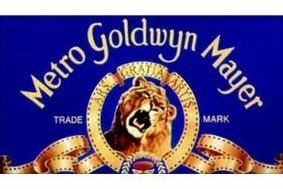 MGM's creditors rejected a separate takeover bid from another Hollywood studio, Lionsgate. This latest development follows months of financial deadlock which left several film projects on hold, including work on the 23rd James Bond film which was put on hold "indefinitely" in April.